Mozzarella & Vino’s enoteca style bar focuses on showcasing smaller family estate wines and independent Italian winemakers. A variety of wines by the glass are offered, as well as by the bottle. The selection greatly varies due to constant new discoveries. Signature dishes include Buffalo Mozzarella Roll Filled with Prosciutto San Daniele with a light pesto sauce served with baby arugula; Oven Roasted Veal Brisket served with sautéed spinach; and “Ravioli del Giorno,” homemade ravioli of the day. Diners can also enjoy a selection of homemade desserts, such as Vanilla Panna Cotta with strawberries, Dark Chocolate and Almond Cake with pistachio gelato, and Artisanal Italian Gelati and Sorbetti, all made in-house! The Sorrentinos are committed to producing top quality Southern Italian gastronomy, to the use of authentic ingredients, and to keeping the tradition of Italian culture, and hospitality, vibrant and passionate. Chef Vito Gnazzo, formerly of three Michelin-starred restaurant Antica Osteria del Ponte and world-renowned REX il Ristorante in Los Angeles, is known for his “farm to table” approach to Southern Italian dining, something that attracts locals and visitors alike to Mozzarella & Vino and its sister restaurants Il Gattopardo and The Leopard at des Artistes. His commitment to bringing the best of the Italian culinary traditions to all of his creations has led to him being awarded two stars by The New York Times and two and half stars by the New York Post. Originally from Naples, Italy, Gianfranco Sorrentino carries over 40 years of experience in restaurant management from the Quisitana Hotel in Capri, Dorchester Hotel in London, Four Seasons Hotel in Tokyo, Bice restaurant in New York, Sette MoMA restaurant at the Museum of Modern Art of New York, and Union Bar & Grill in Great Barrington, MA. 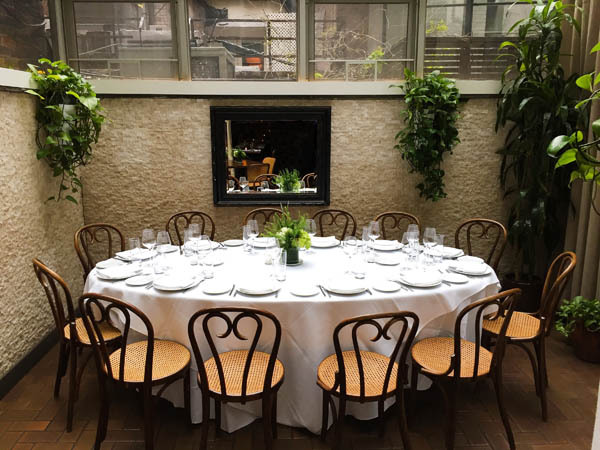 In September 2001, Sorrentino opened Il Gattopardo, just across from MoMA, and most recently (2011) the Sorrentinos embarked on one of the most rewarding journeys of their careers; the re-birth of the restaurant at New York landmark Hotel des Artistes. Brazilian born and raised, of Italian parents from Veneto, Paula Bolla-Sorrentino is passionate for art, design and Italian culture. With fashion and design background, she had the opportunity of traveling around the world with top fashion designers, as well as worked in one of the most prestigious design firms of New York, Pentagram Design, as Graphic Designer. Graduated from FIT, but with the hospitality industry in her heart, Paula runs all visual and organizational aspects of the company, from Art Direction and flowers, graphic design, and customer relations, to make sure that guests are not only exposed to a wonderful gastronomical event on the table, but to a whole sensorial experience. 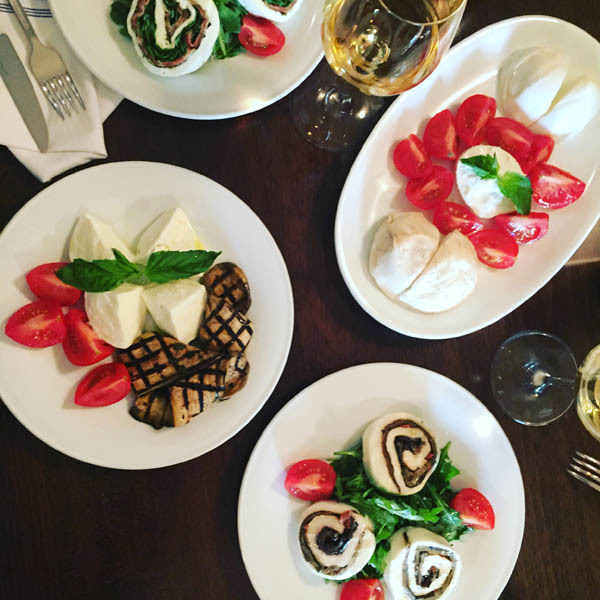 Mozzarella & Vino is located at the former Il Gattopardo space, at 33 west 54th Street in New York’s Midtown neighborhood. Talented Chef Vito Gnazzo is responsible for the delectable menu that reflects the simplicity of authentic Italian ingredients, with a heavy emphasis on the Mozzarella di bufala Campania, Italian cheeses and affettati. The enoteca style bar focuses on showcasing smaller family estate wines and independent Italian winemakers. Gnazzo is the ultimate artist behind the Southern Italian menus at Il Gattopardo group’s three restaurants: Il Gattopardo, The Leopard at des Artistes and Mozzarella & Vino, along with their busy Il Gattopardo Catering division.